What is the Future of IP Video? 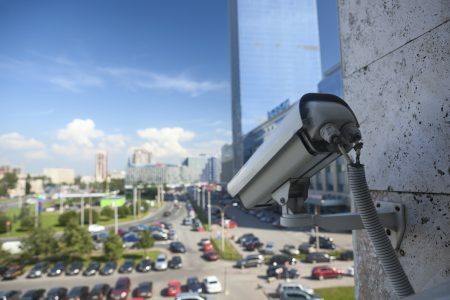 IP Cameras first emerged back in the late nineties, but no one thought that they would replace the popular CCTV cameras. However, with time and interest, these cameras have become more and more popular until becoming the norm for security professionals everywhere. The value of a camera system that operates within a network cannot be overstated. Today, let’s take look at the future of IP video so what you can see where your investment is going to take you. Where is IP video technology headed? It’s time to get serious about cybersecurity for IP video. One of the best things about IP video is also the same thing that can make it vulnerable; the network. The network is what gives your IP cameras their connectivity, but without the proper cybersecurity measures, you may find yourself with a compromised security system. In the coming years, cybersecurity for IP video is going to become more and more important and until everyone is treating it with the urgency it deserves. IP video is only going to become better for the consumer. As of right now, the transition into digital recording isn’t the end all, be all of security. There are still millions of analog cameras being manufactured, sold, and implemented. However, as the technology for IP cameras continues to evolve and streamline, that number should go down. Think about the rise of smartphones for a moment. At first, they were bulky, extremely expensive devices that people didn’t believe would catch on. These days, almost every pocket has a smartphone in it. Though there are still expensive models, the technology as a whole has become affordable for the masses. We can certainly expect IP cameras to follow this route in the world of video surveillance. Not only that, but we can expect that analytics technology will continue to grow and affect the industry. It will become more and more viable for the consumer to implement, making it more of a component in security plans for the future. This entry was posted on Thursday, December 8th, 2016 at 11:51 am. Both comments and pings are currently closed.